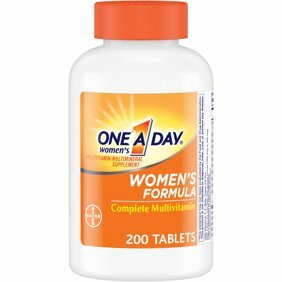 One A Day Women's Multivitamin Supplements with Vitamins A, C, E, B1, B2, B6, B12, Biotin, Calcium and Vitamin D, 200 ct. Instructions: Dissolve 1 tablet in mouth before swallowing, up to 2 times per day. Keep bottle tightly closed. Store in a cool, dry place.